right down to the Conrad style lips which reduced roll and give a nice tight wiggle swim. 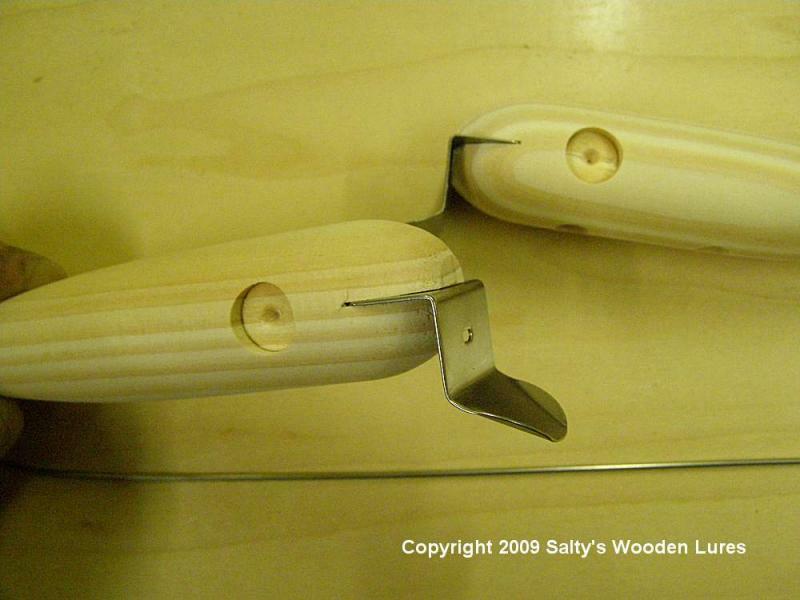 All kits are sanded out to 150 grit and require minimal sanding. 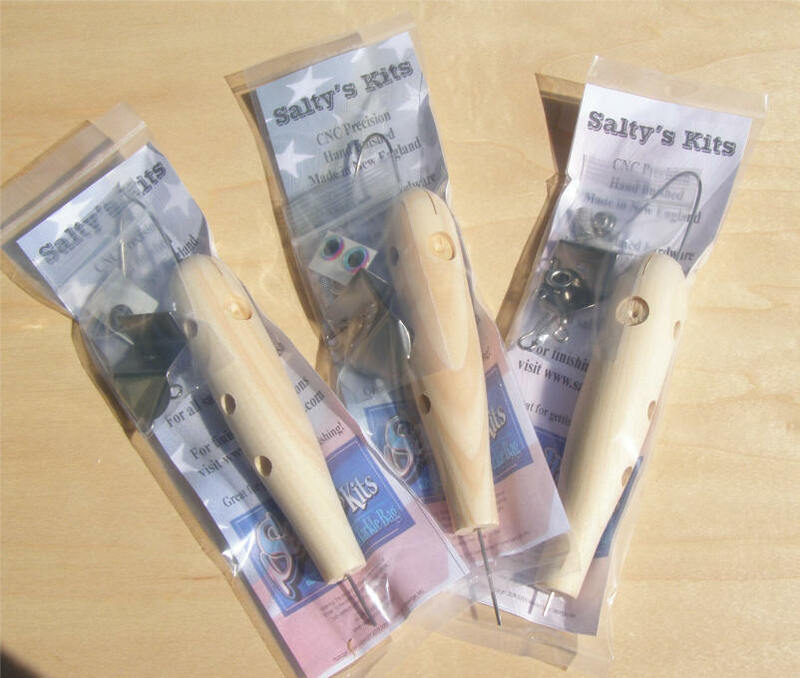 Kits are weighted with one belly weight only-can easily be re-drilled for heavier weight. 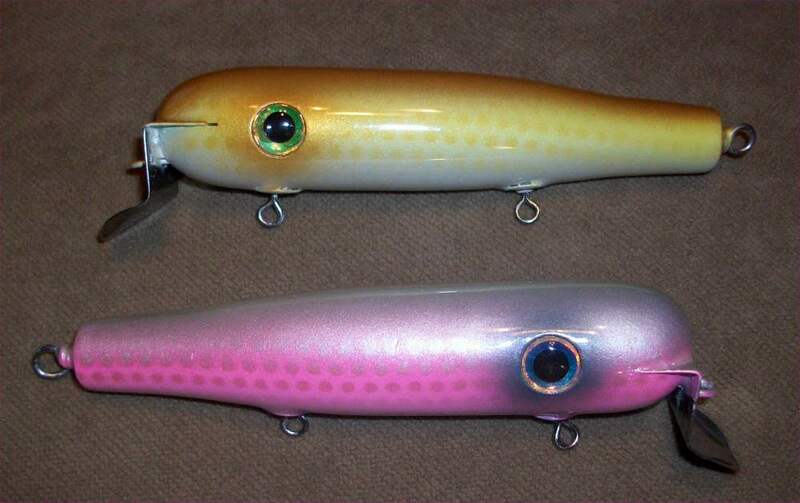 Very nice swim action and is designed primarily as a big bass lure. Casts very well for a metal lip swimmer too! 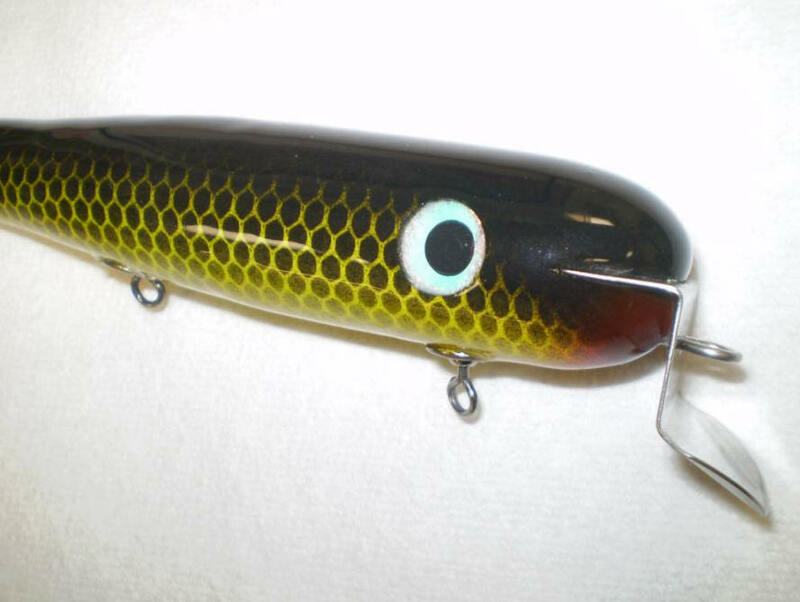 for the belly and a dressed buck tail stub on the tail of this lure. 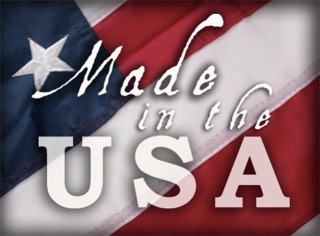 We use only USA made components in our kits! 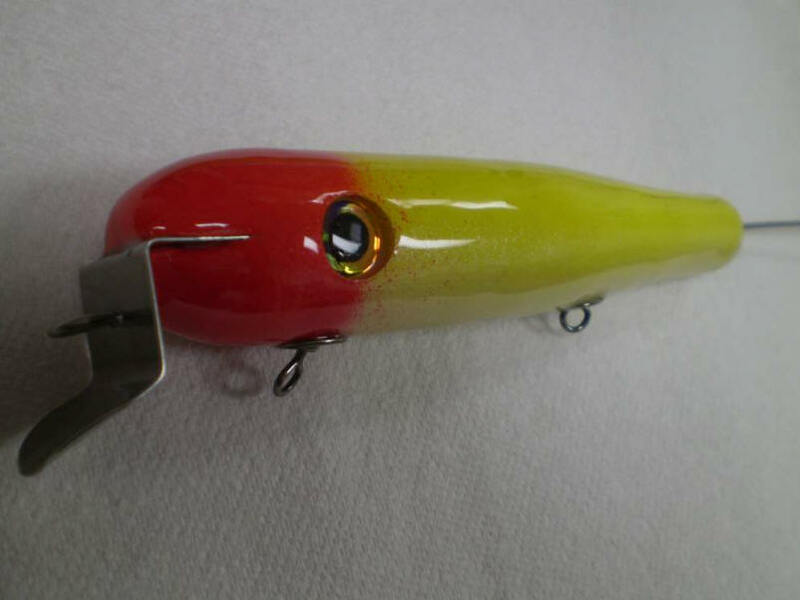 Very simple retrieve on this lure, it will tail wag right on top, and will dive slightly on faster retrieve. This swimmer is a good intermediate kit. It requires gluing the lip in, gluing the weight in, minor sanding, and painting/finishing. Here's some REAL nice kits sent in by customers! WARNING: This product can expose you to chemicals including Wood Dust & Lead, which is known to the State of California to cause cancer and or birth defects or other reproductive harm. For more information go to www.P65Warnings.ca.gov.